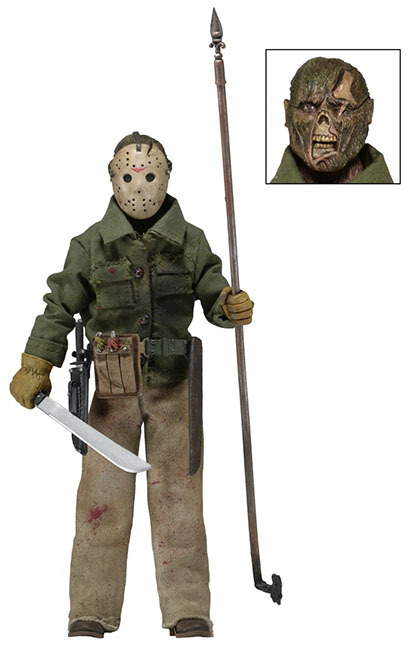 You are here: NECAOnline.com » Licenses » Movies » Friday The 13th » Pre-TOY FAIR Reveal: New Friday the 13th Items! 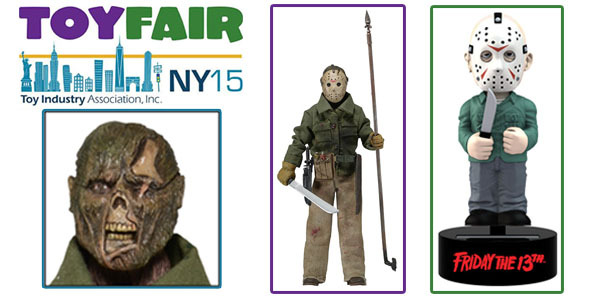 NY Toy Fair starts tomorrow! One more day, and we can finally start revealing the surprises we’ve kept secret over so many months. The excitement is almost too much to bear, so to let off some steam we’ve got an early announcement, timed perfectly with today’s date — a new retro clothed figure and Body Knocker from Friday the 13th! If you haven’t heard of our new solar-powered Body Knockers line, picture the opposite of our Head Knockers — or just keep scrolling for a great intro video! Enjoy hours of fun powered by the sun — no batteries needed! From the iconic horror movie Friday the 13th, Jason’s body rocks from side to side when exposed to light.